After last week’s State Pride Tour (have you check out the linky, yet?) I bet you can guess why this picture from a home featured at House of Turquoise caught my eye. I noticed the map first, and then I saw how beautifully the touches of Autumn in this space looked against a backdrop of brighter colors. 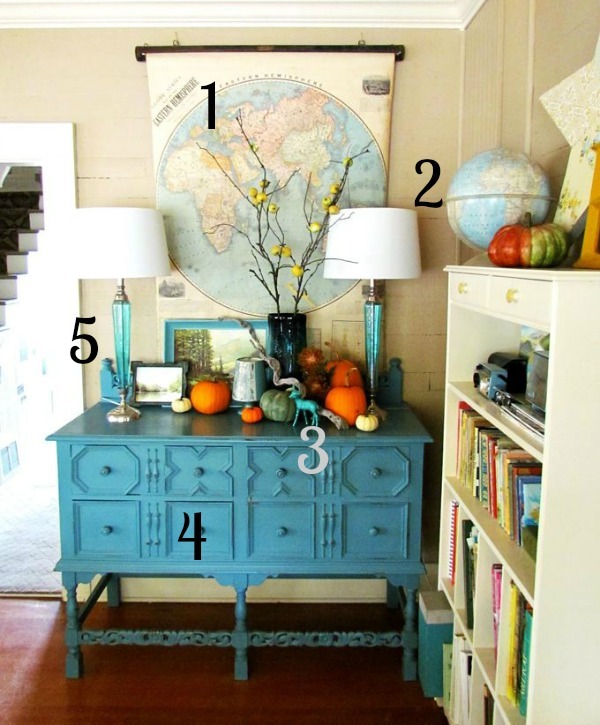 I’ve had fun finding five projects that you can do yourself, at home, with pretty basic supplies to get the look of this Fall sideboard vignette.